Motorola has officially launched the latest smartphones Moto C and C Plus on Tuesday, 16th May 2017. Moto C and C Plus are budget Smartphones which have proper specifications and features. The two phones will start sales from the beginning of this spring in Europe, Asia, and Latin American countries. Moto C will be released in 3G and 4G models. Moto C 3G models will be available for Euro 89, and the 4G model will be available for Euro 99. The Moto C Plus will be available for Euro 119 (Approximately Rs. 8,300). Both the Smartphone will run on the latest Android 7.0 Nougat Operating system. Moto C will have a 5-inch FWVGA display with a resolution of 480×854 pixels. Moto C Plus will have a 5 inch HD resolution display. Moto C has 1.1GHz quad-core processor with 1GB of RAM while Moto C plus have 1.3GHz quad-core processor with 2GB of RAM. 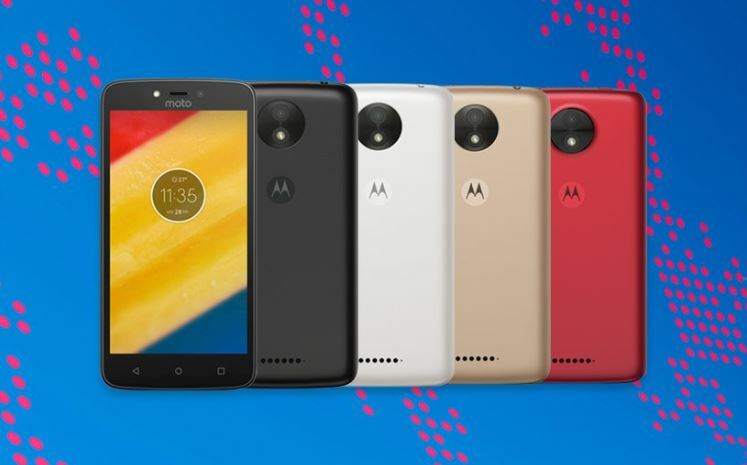 Moto C has a 5-megapixel primary camera and two megapixel secondary cameras with LED flash. Moto C Plus has 8 Mega Pixel primary cameras and 2-megapixel secondary cameras. Check out the complete specifications and price of Moto C and C Plus below.